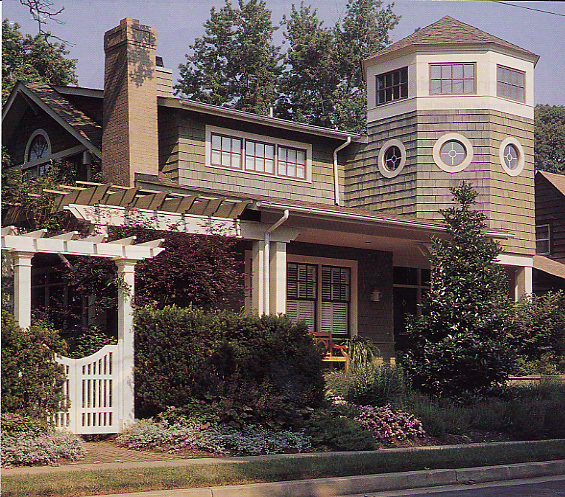 Nationally recognized Architecture and Construction Firm of Concepts & Contours, Inc. completed for it's founders, this magnificent renovation and expansion of a 1920's shingle style bungalow. Since it's completion in 1994, this fine example of early 20th century architecture features many details of yesteryear while incorporating state of the art concepts and building systems. Featured in national magazines, numerous house and garden tours, and HGTV, this spectacular residence is just a short walk to the gentrified downtown Clarendon, VA and 1 traffic light to downtown Washington, DC, shopping and dining district of Clarendon and just steps to the Clarendon Metro stop. Sited on an oversized lot of almost 8,000 square feet with over 60 windows capturing abundant southern exposure light, this sun drenched interior is a perfect setting for both family living as well as formal entertaining. Numerous outdoor landscaped living spaces make the perfect setting for year-round enjoyment. Skilled craftsmen replicated much of the original detailing such as the flared outer walls, watercourse molding, the simple window rim and the walnut inlay in the oak floors. Only the finest materials were incorporated into this home. Individual cedar shingles were installed in the same fashion carpenters used in the 1920s. All 60 windows were specified using the same pane configuration of the original house.